History of British Journalism (by Alexander Andrews, 1858). In other words, the jury found the defendant guilty, and the tirade against squires is as irrelevant to the trial as to the history of newspapers. 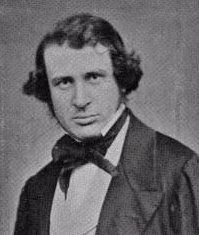 If writers of the literary-man species would inquire of any competent authority, they might ascertain that squires never sit on petty juries, that jurymen crack no bottles with judges, that “the chase” is not the English term for field sports in general, and that country gentlemen seldom correspond to the top-booted type presented to Londoners by those faithful guardians of tradition who instruct “the town” in the minor theatres. Mr. Andrews is not even aware of the light which is thrown on his own literary training and associations by the use of the obsolete phrase which once approximately described the active portion of society. The first publication, at a particular time, of a certain forgotten newspaper, might be recorded without the startling statement that “the Aurora blazed upon the town.” In modern times, the relation of “the town” to London society is far more insignificant than the proportion of the City to the metropolis of which it forms the twentieth part. When Mr. Andrews forgets the duty of fine writing, he is sufficiently rational and intelligible; but it is scarcely to be expected that he should discard the conventional twang in recording the transient connexion of the daily press with the great hierarch of his sect. It is well known that Mr. Dickens failed in the experiment of editing a newspaper, and his ready perception that he had miscalculated the bent of his genius does credit to his modesty and good sense. The process by which the narrative of his discomfiture is twisted into a compliment may be considered rather characteristic of a peculiar school of composition than successful in its immediate object:--"It had been discovered that the brilliant sketching pen of Dickens was not yet blunted enough to be steeped in the gall of political writing—that the steel was too true and too highly tempered to carry the envenomed fluid, which ran off it like limpid water, and made the leading articles simply wishy-washy.” That the absence of general knowledge, of historical acquirements, of political opinions, and of the habit and power of reasoning, should make leading articles wishy-washy, is not so surprising as that the zealous historian of the newspaper press should reduce the proper function of journalists to the emission of an envenomed fluid. The pen which wrote the satirical parts of Little Dorrit was blunt enough, if that condition is necessary before such an instrument can be steeped in gall, although it was still so highly tempered that the poison ran from it in the form of not very limpid water. It might have been expected that the author would affect a fanatical devotion to the license of the press, as well as a reasonable zeal for the liberty which it enjoys; but notwithstanding his occasional adoption of the language of a clique, Mr. Andrews is capable of expressing an honest and independent judgment in appropriate terms. Perhaps the most amusing parts of his book consist in the records of the extravagant pretensions by which the seditious writers of former times provoked the suspicious jealousy of Governments and of Courts of law. Mr. Andrews seems to appreciate the eloquence of a proclamation by “Citizen Hetherington,” that he would refuse obedience to the tyrannical laws which “George Guelph” affected to impose upon him without his own consent. The freedom of the press has happily ceased to excite enthusiasm, because it has been established beyond the reach of controversy. The unlimited right to print mischievous lies could never have been claimed except under cover of a struggle for the power of publishing useful or harmless matter with impunity. Those who are curious of such details will find in the History of British Journalism a tolerably impartial account of numerous prosecutions and actions for libel. It is perfectly right that the old story of the Commonwealth Mercuries and Flying Sheets should be re-examined and related at suitable length, but the majority of readers will probably incur the just reproof of the author by “hurrying on to the present leviathan sight which the press exhibits, caring too little for those which lay by the wayside of the past.” There is also some danger that, pausing by the wayside of the present to investigate the anatomy of the contemporary leviathan, inquirers may be disappointed by the unwillingness or inability of the exhibitor to point out the bones and tissues of which it is actually composed. “The Press of England being by general consent, as well as by the desire of its conductors, worked behind a screen, it would be as far from our province as from etiquette to attempt to raise the curtain for the gratification of inquisitive minds.” Perhaps it would be more accurate to say that the screen is not transparent, or that the curtain is too heavy to raise, for Mr. Andrews, though he is unable to penetrate the real mystery of the Press, mentions thirty or forty names of living writers, with full particulars of their alleged connexion with various newspapers. It is difficult to say whether the information which he has collected on the subject is more correct in any other instance than when he states that “Coventry Patmore, the Quaker poet, was in 1833 the editor of the Court Journal, a fashionable newspaper.” Mr. Patmore will be surprised at his own precocious entrance into the profession of journalism, as well as at his affiliation to the Society of Food. but it may be conjectured that, through some imaginary similarity of names, the author of The Angel in the House has been confounded with the late Mr. Bernard Barton. That an intelligent and indefatigable inquirer should have failed to discover the names of nearly all the principal contributors to the public journals is a surprising and unexpected proof of the possibility of keeping a conventional secret. The organization of a great newspaper establishment is a remarkable result of practical ability profiting by accumulated experience, but an account of the progress and development of the system is as tedious as a history of the iron manufacture or of the cotton trade. A readable narrative must include matters of more human interest than tables of figures which represent the successive numbers of copies and of advertisements; and although newspapers, like power-looms, may not have sprung into existence of themselves, the names of their obscure founders and managers are deservedly forgotten. Mr. Perry's name is still known in consequence of his connexion with the old Whig party; Mr. Stuart enjoys a parasitic fame as the employer of Coleridge and of Mackintosh; and the late Mr. Walter exhibited an effective sagacity in the conduct of his business which places him on a level with the Arkwrights and Boltons of manufacturing history. It would not be worth while to extend the list of able editors and spirited proprietors. Successful men of business must be contented to make their own fortunes and to benefit the world at large, without desiring the supererogatory reward of posthumous fame. When the gods, in Schiller's apologue, had given away the earth and the sea, they reserved the barren sky for the portionless poet; and ever since, the lightest touch of genius, the smallest act which indicated inherent greatness, has been found to retain its place in the memory of men long after capitalists and mechanical inventors have joined the multitude of the dead, abierunt ad plures. The clever lecturer who employs himself in diffusing information on the mechanism of watches probably finds the attention of his audience flag when he attempts to delineate the qualities and virtues of deceased generations of watchmakers. Saturday Review, January 29, 1859.